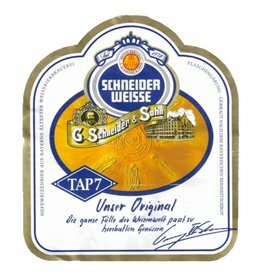 "When summer is on the way and the days invite you to swim, ramble, climb, or simply enjoy the outdoors, you will discover that an Andechser Weissbier Hell is just the right thing to quench your thirst. 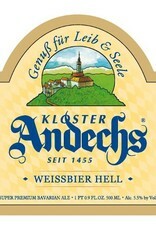 Since Saint Joseph’s Day on 19 March 1993, Andechs Weissbier Hell has found many new friends. 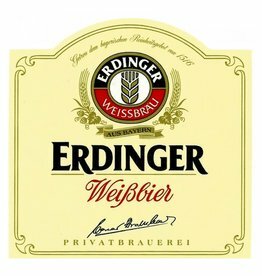 Untreated and bottled in its natural state of yeasty turbidity, this is a top fermented beer for the epicure. 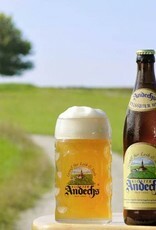 First, distinctive fruity aromas like banana and honeydew melon come to the fore, followed by fine cloves. 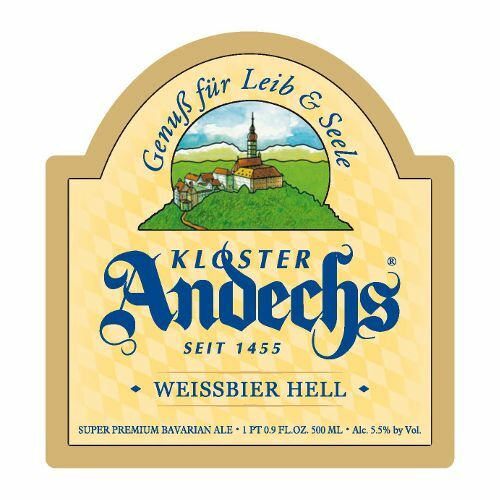 Andechser Weissbier Hell is a very tangy, refreshing treat with the conviction of a full, soft body. 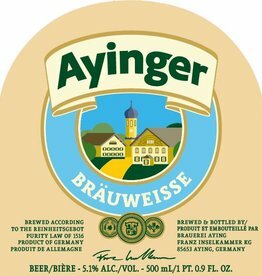 It concludes on a finely balanced interplay of light sweet honey and a delicate acidity with undertones of bitter hoppiness that quickly subside into a harmonious aftertaste. 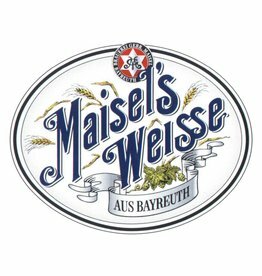 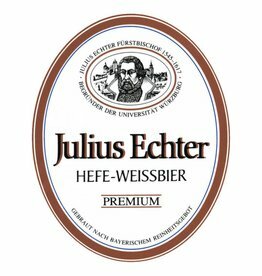 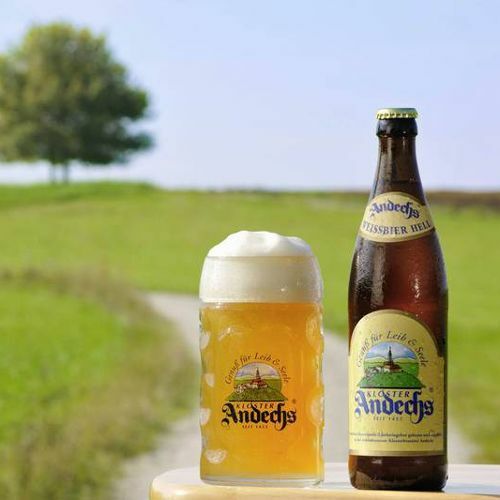 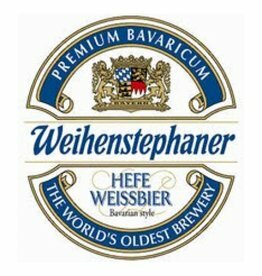 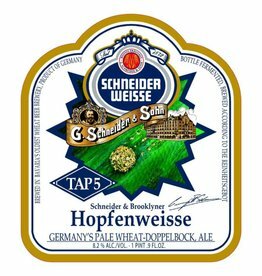 A Weissbier that embodies a slice of the Andechs lifestyle: finely yeasty, tangy, and sparkling, it refreshes and renews the thirst for more (original extract: 12.5%; abv: 5.5%)."